Acts: A Visual Guide presents the exciting story of the book of Acts vividly! Each section is a study in visual form - hand-drawn illustrations based on messages by Kevin DeYoung - guiding you through the biblical text and opening up the truths in a unique, compelling way. Designed to be read with your Bible open next to you, or while listening to Kevin DeYoung's messages, the illustrations become a handbook, helping to unpack and dig deeper into Scripture. Each page shows the progression of the verses and their implications, applying the truths to how we live our lives. The format also lends itself well to the intertwining nature of the Bible, incorporating cross-references to other passages, helping you to open up the Word for yourself and weave the message into the context of the whole Bible. This exciting format is accessible to anyone and can be used either as an overview of Acts or as an aid to a deep, devotional study. 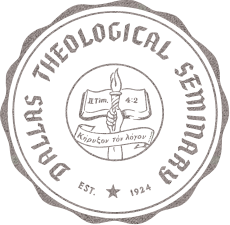 The clue is in the name: this is foremost a guide and companion. It is designed to be read with your Bible open next to you, or whilst listening to the Kevin DeYoung talks. The message is found in Scripture, while the illustrations become a handbook, helping to unpack and dig deeper into that message. Each page shows the progression of the verses and their implications, applying the truths to how we live our lives. The format lends itself well to the intertwining nature of the Bible, demonstrating connections which a written commentary might find cumbersome to explain. The notes also incorporate cross-references to other verses and passages from the Bible, helping you to open up the Word for yourself and weave the message into the context of the whole Bible. A valuable handbook and popular commentary for your personal Bible study or for study classes or small groups. Easy to carry, handy to use design. Adventuring Through the Bible, the complete one-volume guide to the entire Bible, has been a popular Bible study tool since it was first published in 1997. Now this popular commentary and Bible study tool has been divided into individual handbooks, by theme and category, and is available in a new, easy-to-carry, handy-to-use design. Beginning with three volumes, featuring the life of Christ (the Gospels and Acts), Paul's epistles (Romans to Philemon), and the general epistles (Hebrews to Jude), this reader-friendly Bible study tool is both helpful and convenient. Mr. Lyons has selected samples of the most frequently used alleged discrepancies and has carried out extensive research in answering them. ART OF BIBLICAL NARRATIVE OSI! A distinguished professor of Hebrew and comparative literature examines the Old Testament stories from a literary point of view. Since it was first published nearly three decades ago, The Art of Biblical Narrative has radically expanded the horizons of biblical scholarship by recasting the Bible as a work of literary art deserving studied criticism. Renowned critic and translator Robert Alter presents the Hebrew Bible as a cohesive literary work, one whose many authors used innovative devices such as parallelism, contrastive dialogue, and narrative tempo to tell one of the most revolutionary stories of human history: the revelation of a single god. Continuing his exploration of the art of the "Bible," Robert Alter provides a fresh interpretation of the poetry of the Old Testament and a lucid, original account of how biblical poetry works. 415 flashcards with each card highlighing a certain section of the song on one side with a simple icon on the other. This helps the student identify the sequence of the Bible's story line. This two-DVD set features Dr. Berding teaching each book of the Bible in twenty-two teaching sessions. 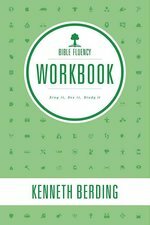 This workbook represents one element of the Bible Fluency program. The program is a comprehensive learning guide consisting of creative and high-quality songs, small group activities, teaching DVDs with companion study guide, and flashcards--in addition to this workbook.